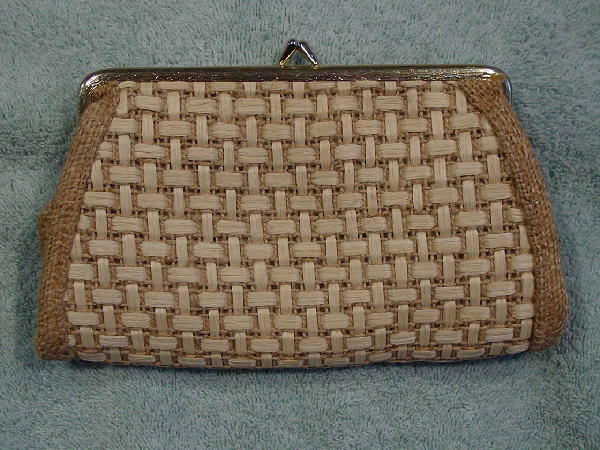 This vintage mini clutch is made of burlap with a front, back, and bottom woven straw pattern. The interior is lined in golden-brown plastic. It's from a stylist's collection, and was used in a magazine photo shoot in a model's hand to display her "palm tree" manicure.